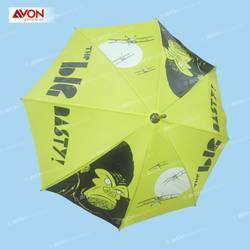 We have full-fledged range of relevant products including Printed Promotional Umbrella that is available at budget affordable price. Umbrellas has always been a pet product of Promotions. As soon as the season comes, company logos are found on the roads. In umbrellas there are a lot of designs, colour availability and styles which gives elegance and style to the company’s brand name. Apart from serving its purpose against weather, our array of printed promotional umbrellas can be carried for serving the needs of advertisements. We take care of clients specifications and ensure the needs of promotions are met in efficient manner. These umbrellas are attractive and decorative. There are wonderful variety of colors, prints designs and patterns.